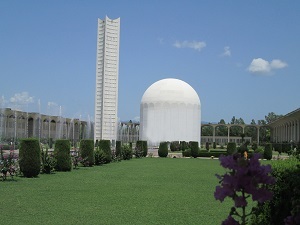 R&D efforts at Pakistan Atomic Energy Commission are focused on nuclear science and technology as well as the allied fields of physical and chemical sciences through well-defined and goal oriented projects. The major thrust of the program is geared towards direct applications in the peaceful uses of atomic energy. In order to keep the program well balanced and tuned to the need of the future, basic research is also carried out. PINSTECH, being a premier R&D institute of PAEC has contributed to the frontiers of knowledge in a number if fields. Over the years, it made significant contribution in PAEC program by carrying out various technical assignments of national interest. The highly qualified manpower is engaged in the R&D at PINSTECH. In the beginning, the experimetnal & research facilities at PINSTECH were limited to PARR-I, a 5 MW swimming pool type research reactor. The reactor has now been upgraded to 10 MW. With this upgrdation, the experience and know-how obtained in redesigning, engineering and renovation has promoted indigenous expertise and led to a greater degree of self reliance. 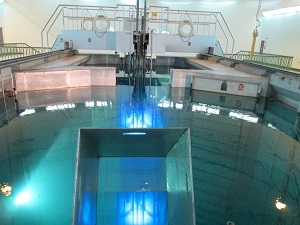 PARR-II is a Tank-In-Pool type, 27 KW research reactor. 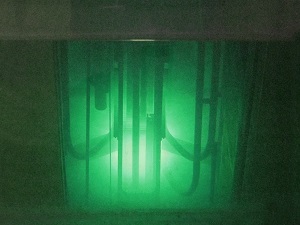 It is a safe and economical tool for neutron activation analysis and training. PARR-II is an ideal facility for teaching and training.